This selection of Melanie Rae Thon's stories showcases her breathtaking ability to become each one of her characters, to move inside the bodies and minds of the dispossessed. One woman speaks for them all: "I'm your worst fear. But not the worst thing that can happen." In This Light shimmers with grace as a drunk young woman hits a Native American man on a desolate Montana road, a grieving slave murders the white child she nurses and loves, and two throwaway kids dance in the twinkling lights of a Christmas tree in a stranger's house. Thon's searing prose reveals that the radiant heat inside us all is the hope and hunger for love. 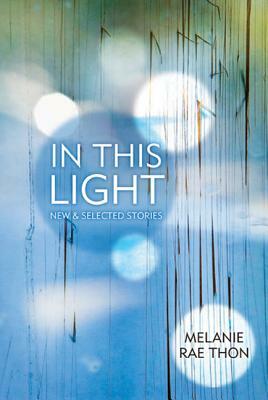 Melanie Rae Thon is the author of two collections of stories and three novels. Named one of Granta’s Best Young American Novelists, Thon has received a Whiting Writers’ Award and two NEA fellowships. She teaches at the University of Utah.